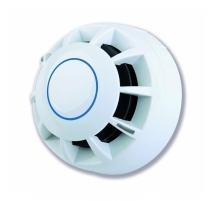 A high-quality Type A2 fixed temperature (60ºC) heat detector for use with C-TEC's HP508 Hush-Pro BS5839-6 Grade C Controller. Certified to EN54-5 & 17 by the LPCB (pending). Approvals/certifications Certified to EN54-5 & 17 by the LPCB (pending). Compatibility Compatible with C-TEC's HP508 Hush-Pro Controller. 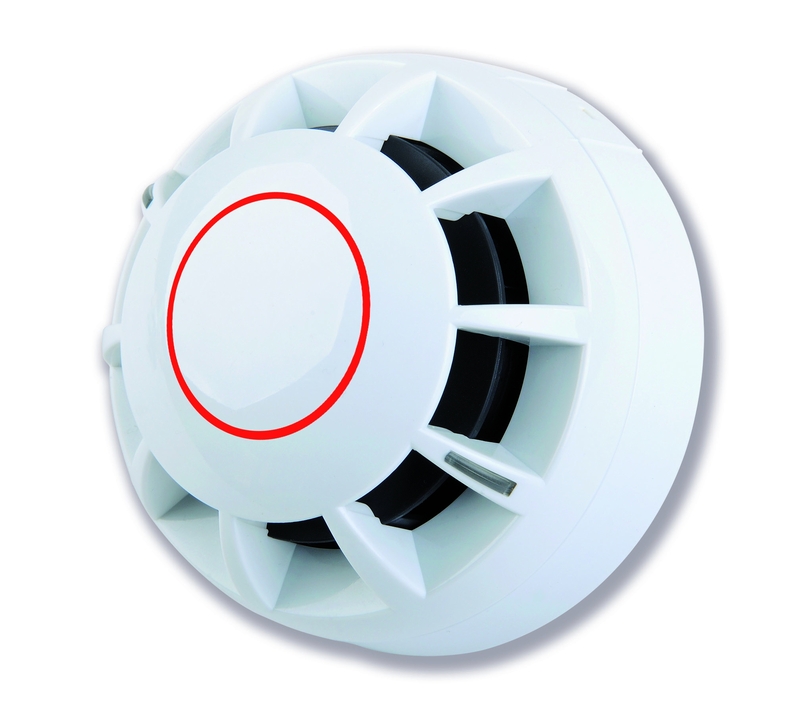 Application/operation Generates an alarm condition when it detects a temperature of between 54ºC & 65ºC. Application temperature 25°C typical, 50°C max. Static response temperature 54°C min, 65°C max. Quiescent current 370uA - 5mA @ 24V. Alarm current 6mA (LEDs illuminated). 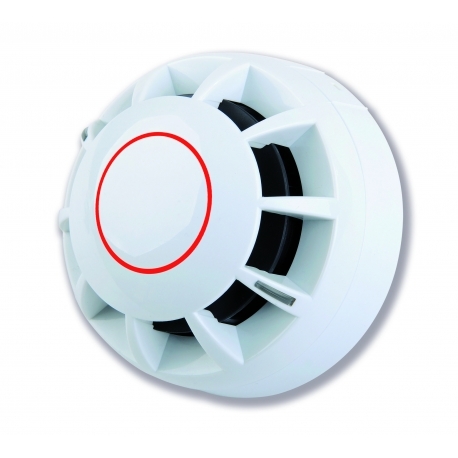 Indicators 2 LED indicator strips emitting red light when in alarm offering 360º visibility. Optional remote LED. Connections Via HP408 base: 1 +Ve IN (analogue swich); 2 +Ve OUT (analogue switch); 3 Remote LED +Ve; 4 0V; 5 0V; 6 Screen; 7 Screen. 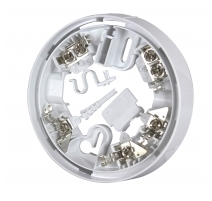 Expansion connections Remote LED output available via HP408 or 408R base. Current source to the negative line, short-circuit protected. Max voltage 2.7V DC. Weight 99g (not in base); 154g (in base). Operating conditions/temperature -20ºC to +85ºC. Notes Requires a HP408 Hush-Pro base. HP408R relay base also available.